At Comic-Con International, Superman's presence could be seen everywhere — in the attendees wearing versions of his many costumes and in scenes from the television serials, cartoons and films. His popularity can be measured in not just sales of comics, but in tickets, too. The cape, the curl, the S on the chest. Superman is among comics' most recognizable characters, and 75 years after Cleveland teenagers Jerry Siegel and Joe Schuster's Kryptonian made his debut in the pages of Action Comics No. 1, his popularity remains stratospheric. 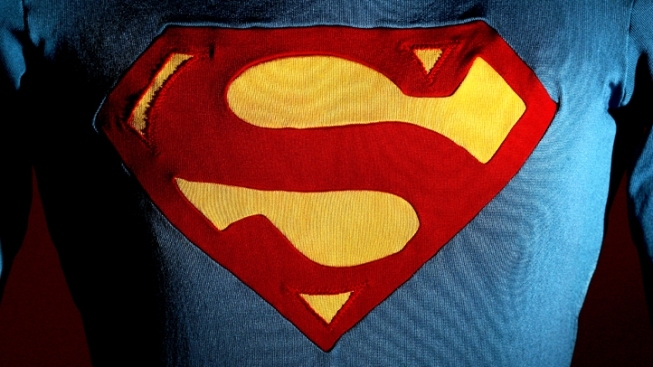 "Superman was the first comic book superhero and the first cross-media sensation. Practically everyone of every generation knows and recognizes the character, so that's a huge asset for his ongoing popularity," said Rob Salkowitz, author of "Comic-Con and the Business of Pop Culture." "Batman has been more successful in the past couple of decades because he is in some ways more relatable —but also because of the times. Batman speaks to our fears. He's about revenge and darkness," he said. "Superman speaks to our hopes. He's about transcending our limitations. He's about using vast power for public good, not private gain." Jim Lee, co-publisher at DC Entertainment who, along with writer Scott Snyder, created the new Superman comic book "Superman Unchained," said few characters have been as relevant as Superman for so long. "Name another character that's been around for 75 years that's still being published and relevant," challenged Lee. "There are very few that are still relevant to today's culture and to today's audience that are still being published," Lee said, giving as examples that Superman was a social crusader in the 1930s, fought Nazis in the 1940s, was a yuppie in the 1980s "and in the '90s had a mullet!" His popularity can be measured in not just sales of comics, but in tickets, too. Zack Snyder's "Man of Steel" has made more than $630 million at the box office. And Saturday's announcement of a sequel, of sorts, became the buzz of Comic-Con with news that it would pair Superman with DC's other big name hero, Batman. "Let's face it, it's beyond mythological to have Superman and our new Batman facing off, since they are the greatest super heroes in the world," Snyder said. At a Comic-Con panel exploring Superman's history, and his future, a team of creators who have written the character, and actors on the shows and films about him, spoke Saturday about Superman's relevance and invulnerability to obsolescence. "Like Batman, this is a very malleable character that can change and still be his core influence," said writer Grant Morrison, whose take on the character in the pages of "All-Star Superman" was critically lauded. Morrison said that as times change, so too, has Superman, serving as a mirror not to a Phantom Zone, but to contemporary real life. That was a nod to the darker tone in "Man of Steel," a grittier take on not just Superman, but his upbringing and influences, too. "He's just reflecting a general tendency, as he always does. Superman has to reflect what people are feeling. I think it's an inevitable part of his development," Morrison said. "If he's dark now, it's because we're all a little bit dark." With 75 years now passed, DC Entertainment co-publisher Dan DiDio said that the comics will continue their retelling of his early days, which in the New 52 universe that launched in 2011, includes a budding romantic relationship with Wonder Woman, a return trip to Krypton and more. "Superman is such an identifier for who we are and what we are about — not just DC Comics but just comics in general," DiDio said. "He is just as strong and probably more vibrant than ever."